Most of Filipinos learn the value of investing too late. Based on my observation, financial literacy isn’t taught in public elementary and high school. I graduated in college without any formal knowledge about saving, budget, investment and other terms that I only come to know now that I am working and managing my events business. This factor is why a lot of Filipinos are afraid of the word “Investment”. It sounds so foreign for someone who really have zero knowledge about what investing truly means. The worry too much for the term at some point creates the possibility of losing your money. Are you afraid to invest? Then here’ a great post you can reflect that will teach you how to worry-free invest here in the Philippines. Be Informed. Reading this post is only the first step to many. Continue gaining knowledge from other blogs and even financial books available in bookstores near you. Gaining details and secrets to financial literature will help you become braver and worry-free as you start investing. Have an Emergency Fund. An emergency fund is said to be equal to 3 months of your daily expenses. This means when your monthly expenses is 10,000 a month, your emergency fund should have 30,000 pesos. An emergency fund is a secure way for you not to be fearsome even if you lose some amount. Remember that investing is a risk. This Emergency Fund will be your fall back if and then anything happens beyond your control. Know that God wants you to be financially blessed. God’s plan is for us to prosper not to put us in harm. Know that God wants us to be successful with the talents and gift He had gave us. The past article on How to be Financially Blessed will help you understand better why I included this as part on how to start investing worry-free here in the Philippines. Click HERE. Remember to take time before you decide to start investing. It is your money first and foremost and whatever happens to it may affect you and your family greatly. 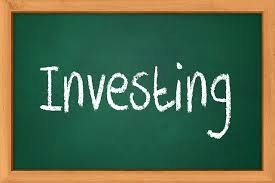 Make sure that you understand very well the consequences of the investment vehicle you chose to ride. Always include a escape plan in your actions for as always, investing is a risk. Hope you found this post helpful. If you do then make sure to SUBSCRIBE via RSS and include SavingsPinay in your Twitter following! PS. Yes, what I mentioned in Item Number 4 is TRUE! I conduct FREE FINANCIAL SEMINAR. My only condition is for YOU to come with someone else or with a group. This is because I wouldn’t want to waste the moment and I of course would like to speak with a lot rather than with few. But if you are just ALONE, we can do the 1 on 1 coaching that will tackle not just the area of finances but also about Life in general and even BEAUTY!!! Yes, yes, yes… Just email me at izzaglinofull@gmail.com. IzzaGlinoGroupofBlogs is composed of a Beauty blog, a Finance Blog and a Life Blog. It is a portal that empowers you take ADVANTAGE of your age and ASPIRE to be a Testament of God’s love.